Reviews – Give a recommendation of the service/ products that were provided to you from your planner to your hairstylist. 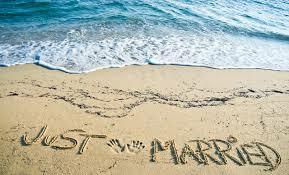 This will help many future newlyweds and your vendors. Clean and store your wedding dress – The sooner you clean your wedding dress, the better it will stay preserved. Give your dress to a laundry that handles wedding dresses. Avoid using metal pins or buckles to hold the dress. Store your dress in a box in an unused place in your closet. Thank you notes – A wedding guest would appreciate a thank you note from the bride and groom. Personalize your note by thanking each guest for their presence and for their gift. Registry returns – You will have 2 months or less to return items gifted to you, through your registry. Changing your name – If you decide to change your name, you should change your ID’s within 90 days of getting married. The list includes driver’s license, passport, social security card and credit cards. Your new address – If you moved once you got married, send out an email with your new address. Wedding photos – Speak to your photographer and ask him/her to give you the shots for selection. The sooner this is done, the sooner you will get your wedding album.